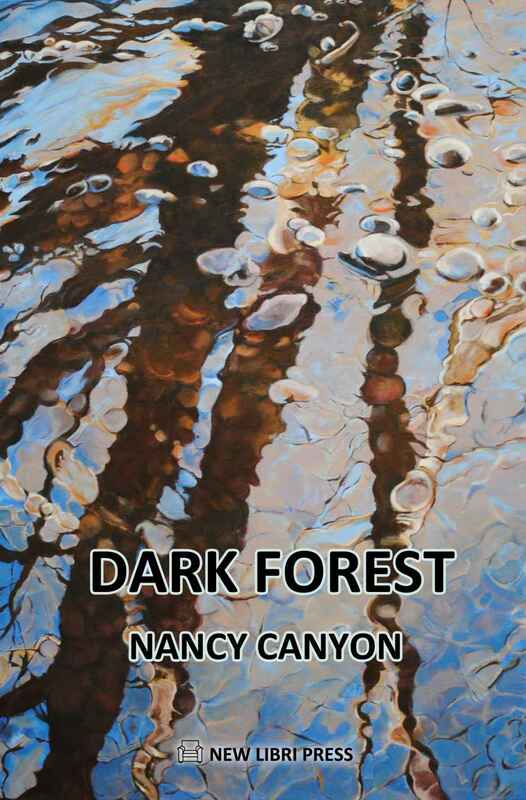 Ms. Canyon began writing and painting as a child. 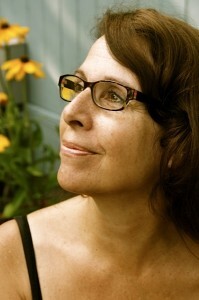 In 1997, she studied with Natalie Goldberg in Taos, New Mexico. She holds a Certificate in Fiction Writing from University of Washington and an MFA in Creative Writing from Pacific Lutheran University. 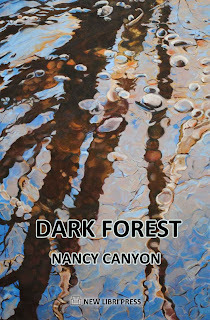 She is a member of Allied Arts of Whatcom County and RWA. She has completed three novels, CELIA’S HEAVEN, STEALING TIME, and WHISPERING, IDAHO. Ms. Canyon lives in Bellingham, Washington with her Tuxedo Cat, Sid. I’ve had a resurgence of reading my astrology books, because I’m an astrologer. I’ve been reading about Dark Moon Lilith, a gravitational point that keeps the moon in the orbit. I’m also reading a book called LONGING FOR DARKNESS: TARA AND THE BLACK MADONNA by China Galland. It’s about this woman who goes on an adventure looking for the tara and it starts with her in Nepal climbing this mountain and she falls and breaks her leg. I like the adventure and the search for something, especially for meaning in life. In all my books that’s what I’m doing - searching for meaning. When I was a kid, I would go to the library, which was just down the block from where I lived and I would just fill my basket with mysteries. And I liked getting out of the kids section into the adult section and smuggling books home so my mom didn’t know I was reading more adult material. I also started two novels in grade school and they were both mysteries. One was THE MYSTERY OF THE TIN BOX, but I never got much farther than the opening. I like it when things just happen that are unexpected. Suddenly I have a story unraveling so that I’m surprised, too. I don’t like the length of things going on and on with editing and the feeling like this will never ever be finished. I write with other people and I - we - use start lines. I write with a syntax so I vary the types of sentences I’m writing from short to run-on. I know what my topic is, but I don’t know what’s going to come out. It’s pretty stream-of-consciousness. Writing with other people is good, because I can connect with their minds as well as my own mind and I can learn from them. I don’t outline anything either. Writing definitely! Painting is one. I like meeting with other people in the studio and doing art together. I like getting out and hiking and camping. I really like shamanism and journeying. I love photography, too. That’s another thing I’ve been doing since I was a kid. I think nature is my main inspiration. And dreams. I wrote a poem this morning from a dream I had last night and I think the dream was inspired by the full moon. Because there’s that magic involved that is like the journey or the dream. Things happen that are surreal or out of the ordinary and I really like that. It’s fun for me. As both a writer and reader, do you prefer either science fiction or fantasy over the other? I’ve read more fantasy than science fiction. Science fiction seems harder and fantasy softer. Fantasy is more fairy tale-ish. Science fiction feels closer to reality in some ways. How was “Ghost Rocks” born? In my writing practice, Tony the shaman came about and then he went on this vision quest up to the ghost rocks. I had actually been working with a shaman who had been taking people on vision quests to the mountain. He was an interesting man and I was learning a lot from him about the Native American medicine wheel and the animal totems. I really desire to go on a vision quest myself, but it felt far too frightening to go out there by myself without food for three days. I really aspire to it and I still aspire to it, but I think I might probably die! I guess that whole story came out of the aspiration. The closest I come to doing a vision quest is when I go camping and it really does scare the bejesus out of me, but I still do it. I don’t go without food, though. The text says “Ghosts Rocks” is an excerpt from the novel STEALING TIME. Was it challenging adapting a portion of a larger work for a shorter format? Yes, it was slightly challenging. It became more standalone and also a much tighter story than the rest of the book was at the time. It became a standout part of that book, to make it work as a piece in itself. Then I had to rewrite the rest of the book to bring it up to that level! The main thing that I like to encourage people to do - because I teach writing - is to let themselves be free and let the story go will it will go and don’t try to control it. When authors say this story came alive and wrote itself, that’s truly a gift. The story becomes a gift to the writer. I think it’s better writing that way and it’s more fun that way! I sometimes think maybe I will meet Tony or another one of my characters in real life. I really love adventures. I think writing about people having adventures makes me feel like I’m having that adventure. This sweet, funny, adorable book first introduced me to Eva Ibbotson, who writes both young adult historical romances like A COUNTESS BELOW STAIRS and playful fantasy novels for a slightly younger audience. A COUNTESS BELOW STAIRS tests our habit of assigning genres and categories. 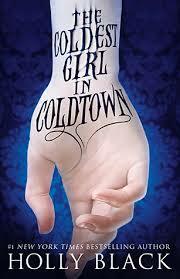 It's historical fiction, no doubt, but it's also young adult and romance. The young adult part has shifted over time. (A COUNTESS BELOW STAIRS originally classified as adult fiction until the publisher repackaged all Ibbotson’s historical novels.) Personally, I would call these books New Adult, but that term’s still in its infancy. As for romance, I mean that classification less in the steamy, bodice-ripper context and more in a tender, heartwarming, happily-ever-after sense. While I always enjoy Ibbotson's work, I also recognize where her YA historical romances will bother someone with different tastes. The distanced, formal writing style puts me in mind of Jane Austen and numbers among the elements that will click with certain readers and not others. Ibbotson also narrates the story with a wide-sweeping viewpoint and a bountiful cast. I love stories with a plethora of characters (because I find that approach more realistic) but others may not. However, the primary reason some people dislike Ibbotson's historical work has nothing to do with the writing and everything to do with the protagonists. There's no denying that her leads in these books are the epitome of the Mary Sue trope. Anna, our “countess below stairs,” always does the right thing. Everyone loves her, or if they detest her that’s a sure sign that person’s a “bad guy.” For the most part, this doesn't bother me, mostly because I find enough other redeeming factors. For starters, Anna is a genuinely nice, kind-hearted woman who sticks to her morals and looks out for those around her. Of course, many readers understandably like to see more moments of weakness, notable flaws, or selfish decisions in protagonists than you’ll find with Anna. The only thing that did irk me is how the story reinforces the attitude that naivety is the highest form of purity (and that purity is the quintessential feminine aspiration). And for all that I say Anna’s seeming perfection didn’t bother me, I did snort aloud at all the ado about her awe-inspiring curtsies. Her curtsies, though, exemplify another redeeming positive: humor. Because even when I groaned at Anna’s absurd level of perfection, I always did so with a smile. There’s an understated, teasing humor that…well, tickles me. For example, the fact that Anna thinks she’s outsmarting everyone by pretending to be a servant, but they all know better. I laughed aloud when Anna, in an attempt to comfort a wronged little girl, lets slip something about all her family’s houses. Ollie, the little girl in question, catches this plural and asks, “Did you have a lot of houses?” To which Anna’s employer responds, “In Russia all the housemaids have a lot of houses, Ollie.” I also adored the snobby dog that refuses to enter the servants’ quarters. A COUNTESS BELOW STAIRS won’t be for everyone, too light and wholesome for some appetites, but it’s a fun fluff read with real historical depth (and a darker subtext about prejudice, though the novel never brings that to the forefront), lovable - if simplistic - characters, and a sweet, satisfying comedic voice knitting together numerous storylines. 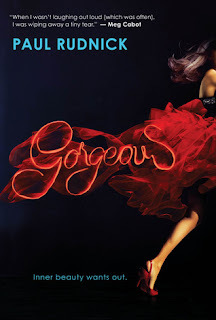 GORGEOUS has an intriguing, mysterious premise: after the death of her morbidly obese mother, Becky receives a strange phone call and finds herself whisked away by a peculiar and unnaturally stunning stranger who claims he can make her the most beautiful woman in the world by designing three dresses. This might not need saying, but you need to be able to suspend your skepticism to enjoy this story! Rudnick crafts believable characters but far from believable actions and twists. Becky often goes along with each crazy development without much fuss clearly to keep the book moving at a rapid pace. 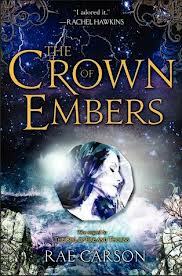 GORGEROUS also defies easy categorization, because the novel is far more character- than premise-focused. We never learn if it’s magic or science or God or the aliens or fill-in-the-blank that explains the how behind the strange happenings. Becky’s reaction to these mystical events ranks far above any explanation. I loved the voice from the first page, though it won’t be for everyone. There’s a lot of swearing (In fact, I want to show this book to everyone who asks if swearing is allowed in young adult literature.) and sometimes the humor’s crude and crass. Disclaimer aside, if forced to label this book I’d go with satiric absurdity, (And if that’s not an official genre, it should be.) which shines through in the tone right from the very start. GORGEOUS made me laugh more times than I can count and, above any other strengths, that’s what made it stand out for me. I can see the distanced viewpoint off-putting some readers. Close focused, “real time” scenes are surprisingly few and far between and instead Rudnick often summarizes hours, days, or months in a chapter or even paragraph. This approach only bothered me when I wanted to experience what’s really a subtle, slow change of mindset for Becky rather than be informed in a few paragraphs how she’s seeing everything differently. While I still rate this book high overall, my opinion went downhill a little around the ending. When the story starts collecting itself for some kind of meaningful conclusion, the attempt falls flat. The ending trips into some of the same happily-ever-after traps the book challenges and the why and how behind the supernatural only become more mysterious and confusing, not less. I also expected a far more impacting revelation about Becky’s mother. In short, the story feels natural at the absurd but sometimes forced at the real. My criticisms about the end aside, GORGEOUS had my full attention and rewarded me with plenty of laughter, some innovative insight, and a worthwhile discussion that will continue in the reader’s mind and in real world conversations long after they’ve finished this book. Kristopher grew up in Lincroft, New Jersey. He received his B.A. in The Writing Seminars from Johns Hopkins University and an M.F.A. in Fiction from Columbia University. 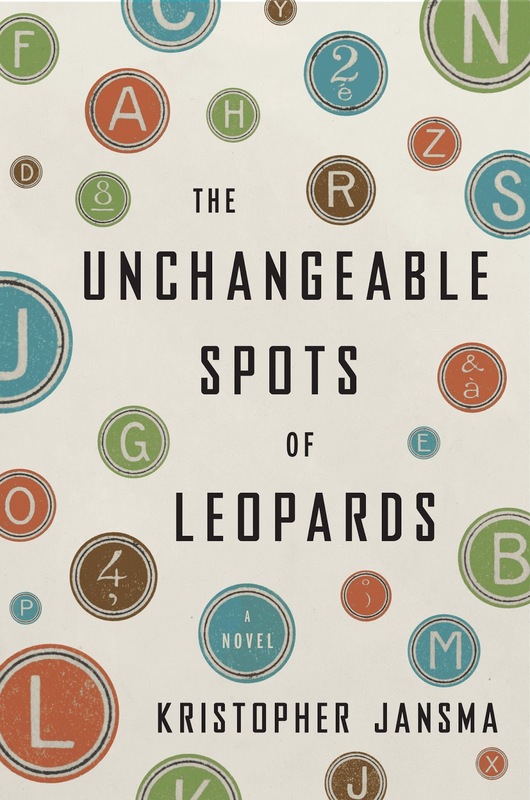 Kristopher Jansma's debut novel, THE UNCHANGEABLE SPOTS OF LEOPARDS, was published by Viking/Penguin in March of 2013. At the moment I'm reading a science book called HIDDEN REALITIES by Brian Greene, a physicist who teaches at Columbia and who is a guest I like on WNYC's Radiolab podcast. The book is all about string theory and multiple universes and hidden dimensions that scientists believe exist far beyond our ability to ever detect them. It's partly research for a new project I'm working on, but also just something I love to think about. There's a weird overlap, I've noticed, between physicists and writers...I know several writers who once thought they'd go into physics. Both fields involve asking a lot of big questions about the nature of the universe. Fortunately only one requires a working knowledge of Calculus. Well, like the little boy in the Author's Note of my book, I wanted to be a writer since I was very young. Like him, I wanted to be a writer even before I knew that was a thing you could do. When I was in 3rd or 4th grade I would write down all the imaginary adventures I'd had with my friends during recess each day, mostly just so we'd be able to remember them. Then in 7th grade I had an English teacher, Mrs. Inglis, who saw how much I liked to read and how much I liked to write our little vocabulary essays, and she was the first person to point out to me that there were real people whose job it was to write books. I had always thought that books just existed, or that they'd been written long before I'd been born. I didn't really put it together that you could still write new ones. The best thing about writing is when you look back at a full page and remember when it was blank only an hour ago. The worst thing about writing is when someone comes along and tells you to cut half of this genius stuff you think you wrote, even though they're usually right. It changes all the time, depending on what else is going on in my life. When I was writing LEOPARDS I was teaching six or seven classes a semester and working at night at a tutoring desk. I had to get my writing time in there any free second that I had. But that was exhilarating. I thought about my book all the time, even when I wasn't working. Now my teaching schedule is a bit more manageable, thankfully, but I'm taking care of my newborn son several days a week, so that presents a whole new set of scheduling challenges. Outside of writing? I love cooking...I love good theater - I used to be the President of my college theater group, The Barnstormers. I get pretty passionate about certain television shows. I think novelists are supposed to be kind of anti-TV. When I was coming up in the MFA world it was pretty common that my friends would not even own TVs, sort of as a stance against a supposedly lazier form of entertainment I guess? Meanwhile I think I learned more from binge watching The Sopranos and The Wire than I did from half the books I read during those same years. It's hard to predict! I've gotten flashes sometimes from paintings, songs, news headlines, even words in the dictionary. Most often I'm inspired by people. Some little behavioral tic or expression. Even just the way someone says something, sometimes, can launch my mind off into storytelling mode. How was THE UNCHANGEABLE SPOTS OF LEOPARDS born? 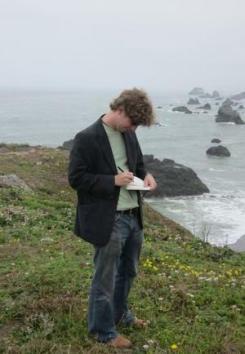 In 2009 I started an online writing project called 40 Stories. I was fed up with trying to write a novel and failing over and over, so I thought I would clear the cobwebs by writing a series of stories...a new one almost every week, and posting them online. It was a lot of fun and it did indeed get me into a whole new groove. 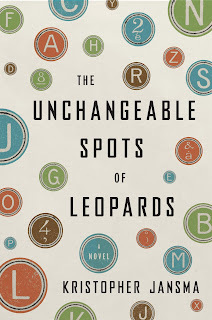 Then suddenly I wrote the 13th story, which I called "The Unchangeable Spots of Leopards" and it was so exciting that I knew I'd accidentally struck on something with a lot of potential. So then over the course of that year I wrote 7 or 8 more stories that used similar characters and themes, and as time went on, I realized I had a novel on my hands. Was it fun and/or challenging writing about writing? It was a big challenge, but one I'd always been curious to try. The problem is that most readers aren't as interested in how the book gets made as a writer is. You don't go to a bakery to hear all about how cake gets made; you just want to eat some cake. So what I realized is that you have to let them eat cake (if I can get away with that!) and the cake needs to be so good that they just have to ask the chef how it's made. I love postmodern books that are full of metafictional stuff, but lots of readers are turned off by it. Too self-involved and too often the story and characters are lost to the ideas. I wanted to write a book that would bring the joys of postmodernism to readers who still enjoy the satisfactions of modernism. On that note, I'd love to just add that post-this and pre-that are just awful and misleading terms when it comes to literature. The two most postmodern books I ever read were DON QUIXOTE and TRISTAM SHANDY and they were written hundreds of years before there was a modernism for them to be post- of. Did you enjoy writing such an unreliable narrator? Absolutely! Unreliable narrators are the wickedest kind of fun you can have in writing. You're constantly walking this very fine tightrope with the reader: the trick is that they can lie as much as you want, so long as they're absolutely earnest about it. To me, that's the very heart of great fiction. The two most powerful words for anyone aspiring to do anything are "we'll see.” It takes a long, long time to get good enough. So all along the way you're going to face disappointment and rejection. People are going to tell you that what you're trying to do cannot be done - by you for sure, and sometimes by anyone. People told me I couldn't write a book about writers. "We'll see," I said. Quietly, to myself, a lot. Just that even though my narrator is a terrific liar, you should know that I'm a terrible one in real life. That's what made him so much fun to write...and it's also why you can trust everything I'm saying to you here. When I really like an author, I don’t even read the back of their newest book; I see their name and I start reading. I knew I would love a book by David Levithan, but I still underestimated how much. Before starting this book, I felt amused by title and cover, simply for the lack of subtly. However, as I started reading it became clear that’s exactly the point. While the book follows numerous boys, Craig and Harry become the focal point of the story. They want to break the world record for longest kiss. So the title’s not only a concise summary of this quilted novel’s centerpiece, but also captures Craig and Harry’s mindset behind their decision. I had a little trepidation before starting this story that took me a while to pinpoint and I realized the cover and title played a role there as well. Sometimes I read books that lean on the subject matter. I want to read amazing stories with amazing characters. Taking the Holocaust as only one example, I have read a few Holocaust novels that I found…well, less than great. But people rave about them. In fact, I rarely don’t hear people rave about a Holocaust novel. Which makes me wonder if it’s the brilliance of the book or the emotional intensity of the subject matter. I finally realized that my hesitation regarding TWO BOYS KISSING had to do with a worry that the novel would lean on any emotional association with the struggles of gay boys and men rather than on a great story and wonderful characters. In retrospect, that concern was entirely groundless since David Levithan has never disappointed me. In fact, TWO BOYS KISSING is an incredible story simply for the phenomenal characters. I wasn’t reading about A Gay Teenage Boy. I was reading about Craig and Harry and Tariq and Avery and Ryan and Cooper and, well, there are a lot of characters, but the point is that I came to care deeply about all of them. Craig and Harry’s kiss seemed more like a story hook at first, but soon had me at the edge of my seat with the same combination of pride and anxiety that all their friends and family felt. Levithan’s also a master of short but sweet. I finished TWO BOYS KISSING and couldn’t help turning the book over in my hand, marveling that something so slim had me so entirely invested. I know there’s no book in existence that everyone loves, so when I step back and examine all these quotes through fresh eyes, I can see that someone with different tastes might find them overly sentimental, but speaking for myself I loved them. I loved this book so much that I had to hold myself back in this review from using such gushing adjectives that people will suspect me of hyperbole or that I’ll raise their expectations so high that the book can’t compete. Now if you’ll excuse me, I need to go read everything else David Levithan has ever written.